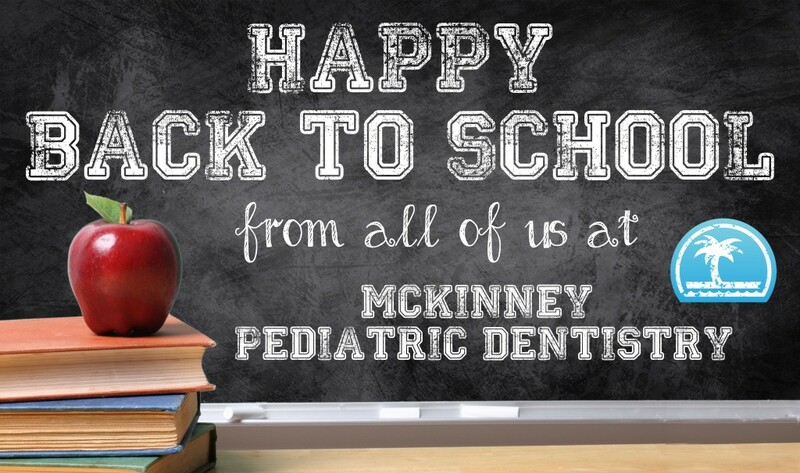 Home › McKinney Pediatric Dentistry › McKinney Pediatric Dentistry's Pointers for Back-to-School!! BACK TO SCHOOL!!! During this summer rush with kids out of school, it has been a BLAST to see the young faces that have come into McKinney Pediatric Dentistry! We love the simple things your kids do here each day which bring so much life (and sometimes some really good laughs!) to every visit. #1 – Pack them healthy choices for snacks and lunches. Snacks such as goldfish, pretzels, crackers, and muffins cause the mouth to become acidic and increase the risk of getting cavities. These types of foods are best eaten with a meal, and not as snacks. 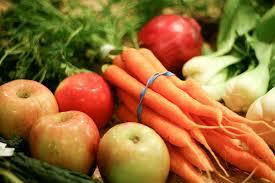 Fruits and vegetables are good snack choices. #2 – Many kids these days are drinking juices and sports drinks that significantly increase the risk for getting cavities. It is best to have your child drink water. The sugars in juices and sports drinks also make the mouth acidic and can cause widespread cavities by causing enamel demineralization. 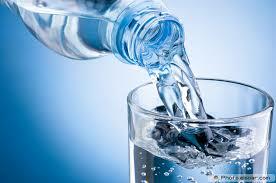 Drinking water is safer and helps prevent cavities. #3 – There are many travel-sized toothbrushes that children can pack to school for brushing their teeth after snacks or lunch time. 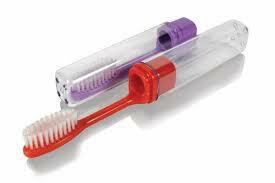 It may pay off to have your child keep such a toothbrush at school. Then they can remove the plaque that accumulates from snacks and lunch time. #4 – Schedule your child for regular checkups with Dr. Jon Schaack and his staff at McKinney Pediatric Dentistry to assure your child has a healthy smile as school gets going. If it has been over 6 months since your child’s last exam, give us a call!! We pledge to continue to provide the highest quality of care for your children and have fun while doing so. We appreciate the kind words you parents have posted on our Facebook page and in Google Reviews. Your voice is our preferred method of “getting the word out”. Please continue to let your friends, family, and neighbors know that McKinney Pediatric Dentistry is a fantastic place for kids! !